There are ten classes available for the new player (Death Knights aren’t available, since you have to be level 55 with one character before you can play one.) I’ll break them down into Melee (hand to hand combat,) Bolt lobber (ranged combat with spell or arrow,) and Healer. Some classes do two, some do all three. 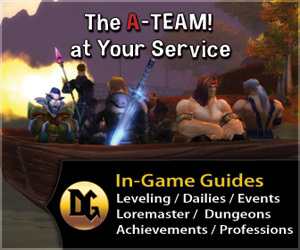 You can also refer to “roles,” such as Tank, Melee DPS, Ranged DPS, or Healer. A Tank is for groups heading into dungeons, raids, or against any difficult non-player opponent. It’s the Tank’s job to keep the attentions of that enemy, while the team smashes it. The DPS (AKA “Damage”) role is just to dish out as much damage as you can to the enemy. Melee does it face to face, Ranged lobs bolts. Healers do just that, heal whomever needs it. Some classes can play any role. Druid – Melee, bolt lobber, healer. Any role. Hunter – bolt lobber with melee pet. Ranged DPS. Mage – bolt lobber only, Frost mages have a bolt lobbing pet. Ranged DPS. Monk – Uses “Martial Arts” to Heal, Tank, or kick heads. Any role. Paladin – Melee or healer. Any role. Priest – Bolt lobber or healer. DPS or Healer. Rogue – Melee only. DPS only. Shaman – Melee, bolt lobber, healer. Melee or Ranged DPS, Healer. Warlock – bolt lobber with melee or bolt lobbing pet. DPS only. Warrior – Melee only. Tank or DPS. While all the classes are fun, I would advise against Priests (healers) and Mages if you are just getting started. Priests are the most difficult class to level up efficiently when you first start them up, as they just don’t do much damage at the lower levels. Mages are also difficult for the new player because, in spite of their ability to inflict substantial damage, they are fragile and easily killed. Tactics are extremely important with Mages, and good tactics may be difficult to work out when you are just trying to learn how to play the game for the first time. For both of these classes teaming with others can help. If you can team up with an experienced player then any class you pick will have a much easier time of it, but if you will be doing any solo play these are difficult classes to start off with. For classes with multiple roles, such as the Druid, it’s easiest to stick with one role until you’re comfortable with how the game works. This means that you won’t be casting spells and healing and melee fighting. Druids are the only class in the game that can do pretty much anything, but that flexibility makes them tougher for new players. Probably the easiest of classes to play is the Hunter. Even the in-game character creation screen says they excel at leveling and soloing (playing by yourself.) Hunters also have the ability to capture, train, and use a pet to attack their targets. Your pet will keep the opposition at a safe distance while you fill them with arrows or bullets. They aren’t particularly dependent on fancy gear or special abilities. Warriors are more dependent on good gear and require a bit more skill since you won’t have the pet helping out. They do a lot of damage and have solid defenses and are also a decent choice. Rogues take a bit more skill and nice gear really helps. They have nice stealth abilities and do plenty of damage. A pretty decent class to start with if you’re willing to learn a few skills. I don’t recommend any healing class unless you’re with friends. You won’t do enough damage to take down the opposition efficiently, though with some practice you’ll be hard to kill. Bolt Lobbers tend to be squishy. They can do plenty of damage, but they can’t take it very well and can’t escape it very well. At low levels, anyway. Warlocks, on the other hand, have pets to help them out and some of those pets will keep the opposition away from you, much like a Hunter’s pets. The Night Elf racial ability most useful to Hunters is that they are slightly more difficult to hit. Their Shadowmeld ability allow them to fade into the shadows (while staying still) which has occasional use. Draenei may heal themselves or others over time and they have slightly Intelligence, Strength, or Agility than others. The only useful racial trait for the Human Hunter is Every Man For Himself, which removes all movement impairing effects and all effects which cause loss of control of your character, such as stuns, fears, traps, etc. While this is of most use against other players, it does have use at other times. 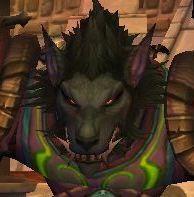 Worgen don’t have any Hunter specific abilites, but do have generally useful abilities: periodically move quickly, an increase in their chance for critical hits, and increased skill and speed in skinning. The increased chance for critical hits is probably the most beneficial ability for Hunters. Dwarves can take on Stoneform, which removes all poison, disease and bleed effects and increases armor by 10% for 8 seconds. This benefit may not come into play that often, though, as Hunters are ranged fighters who tend to stay a careful distance from their targets. The Orc’s Blood Fury is better suited to melee combat than to the Hunter’s ranged combat style. They are somewhat resistant to stun effects and the damage done by their pet is slightly increased. The Tauren have the racial ability War Stomp, which stuns nearby opponents, which may help the Tauren to escape from melee combat. 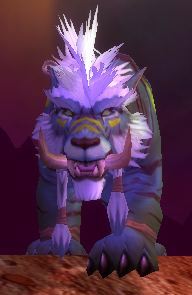 The Tauren also has increased maximum health, which is always nice. The Undead have many useful abilities, but none that are specifically useful to Hunters. They have racial abilities that can remove fear, sleep, and charm effects. They can consume corpses (yuck!) to regain health and mana. Their underwater breathing is increased, and they have a slight resistance to shadow damage. On top of all that, they look really … dead. 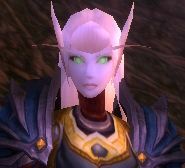 As for Blood Elves … well, they look really, really good. Their arcane Torrent ability can restore some mana, rage, or energy, but Hunters use “focus.” It also silences nearby spellcasters for two seconds, which is generally more useful to melee types than Hunters. They also have a slightly higher Crit rating than others, like the Worgen. Naturally, you will want to pick the class and race that appeals to you the most. If you really want to play a Druid or other “more difficult” class then go for it. Try to get into a nice guild (“nice” being one that you like) and feel free to ask lots of questions.There really are some pretty helpful people out there, though sometimes it doesn’t seem like that’s really the case. Lastly, if you really like your character but want to be on the other side of things (eg: Horde to Alliance) you can also change your race and/or your faction by paying Blizzard a few IRL (In Real Life) dollars. You can even transfer to a new server. Now get out there and enjoy the game!